Check out these accessories that make for a perfect gift. Marking the beginning of gifting season, gift some fabulous and functional goodies to your near and dear ones, instead of the conventional sweet boxes, chocolates, and flowers. There are a range of products in the market, that are both durable and affordable. One among them is wooden accessories, which are safe and easy to use. Raghunandan Saraf, founder and CEO, Saraf furniture helps you find an eco-friendly gift for your loved ones. 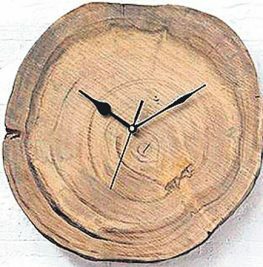 Gift a wooden wall clock that can instantly enhance a room’s décor. Whether in a living room, bedroom, or in a study, the time-keeping machines made of Sheesham wood are sure to brighten up any space and add a touch of style. In most houses, grand preparations take place during festivals, as diet plans are forgotten to make way for festive indulgences. Pick out cutlery made of wood which is sure to be a conversation starter whenever your loved one takes them out for family dinners. In case, you find the wooden cutlery set insufficient as a gifting option, you can even combine it with a solid wooden coaster set that can accentuate the home décor during the festive season. This is one item of furniture that is both stylish and contemporary which can amp up the style quotient of a space. A Jaipur table lamp can enhance the room décor and infuse a touch of sophistication to the interiors. Gifting plastic toys to children is passé now. Try something special and buy something that is both safe and kid-friendly. 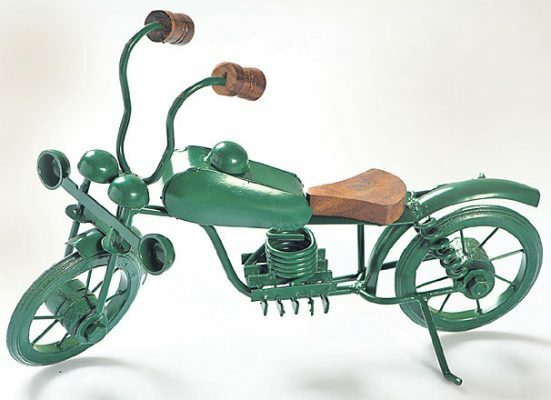 You can also gift this little accessory to a bike aficionado or one of those friends who enjoys collectables.